When I first read the blurb for Juliet Immortal, I knew I had to read it. I had to see this spin on Romeo and Juliet, mostly because I am in the minority with my opinion on R & J. Don’t get me wrong, I think it’s a great tragedy. Tragedy. But I am disturbed by how often it is referred to as a “timeless love story” or a “great American love story” or “the ultimate romance”, and even more so by the fact that their “love” is something that people in this world desire. Like suicide in the name of love is ever noble. So yes, I was dying to see how things were twisted in Juliet Immortal, and on that front, this book didn’t disappoint. Juliet was an interesting character, although I didn’t necessarily love her. She was a little too angsty for my taste, and spent a lot of time telling us about her misdirected hate. I preferred Romeo over all of the characters. He is so twisted and I loved getting inside his head when we got the chance. I found myself wishing—several times—that this story was from his point of view, so I will definitely be reading the sequel as it will be from his point of view. Although given his transformation, I probably won’t be as entertained. Insta-love is not something I am a fan of, and it definitely had an impact on how much I enjoyed this story. Between the writing and the take on the classic, I probably would have loved this book, if not for the insta-love. I didn’t really understand why Juliet and Ben fell for each other, and it’s difficult to buy into a love story if you don’t really see how the love is there at all. So it was a little rocky from time to time, especially when she and Ben were together, and professing their love to each other. I mean, I don’t actually recall a serious conversation between the two of them that didn’t include an “I love you” or some make-out action. Juliet obviously didn’t learn from her first mistake—Romeo. I also wasn’t really a fan of the ending. To be honest, I think it tied things up a little too neatly, not to mention there are some small revelations that left me scratching my chin. It kind of made me wonder what the point in all of that was. Overall, Juliet Immortal was still a good read. I breezed through it in a matter of hours, and I’m definitely interested in seeing how Romeo’s story will pan out. I have a love hate relationship with this book. I loved the whole twist on the original story. Romeo and Juliet was perhaps the first love story I read years ago and fell in love with Romeo, of course. What the author did to him in the book....she kinda broke my heart with his character.Still, it was interesting enough and kept me reading and I will be picking it up the second part. I received this book as a present and have heard mixed reviews. I've been hesitant to read it, but I think I'll check it out. Thank you for the great review! 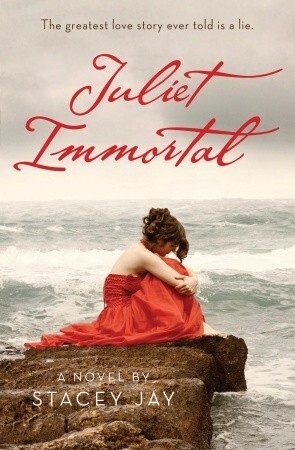 Juliet Immortal has to be one of my most coveted books of the summer. I have been waiting for a while to read this book, and finally got my hands on a copy. I love anything Romeo and Juliet. Their story is the ultimate love story, despite the tragic ending. When I discovered Juliet Immortal, I knew it would something I had to read.